As an Orange County event photographer working at the Anaheim Convention Center is a breeze. It is just down the street from our studio. 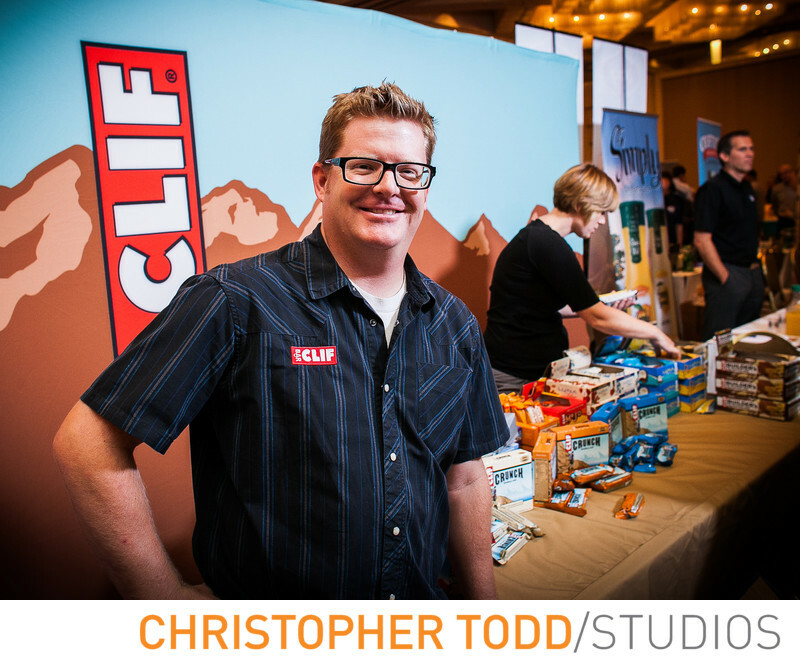 This photo was taken during a health food convention featuring Clif Bars and other companies in the industry. One of the employees is seen here smiling for the photo. I used an on camera flash to avoid capturing shadows on his face. Location: 777 West Convention Way, Anaheim, CA 92802 . 1/60; f/4.5; ISO 640; 24.0 mm.